These gold disc earrings are really versatile and super classic, so I'm excited for one of you ladies to have them and wear them all summer long! Wouldn't they be great with a bright summer sundress or a bohemian inspired top? The deadline for entries is midnight Central time on June 22nd. I'll announce a winner on June 23rd. Canadian and European entries are welcome. So pretty! I love them! I of course follow (google reader). I sm a follower of your blog!!! I also facebooked bout the giveaway!! We are followers! 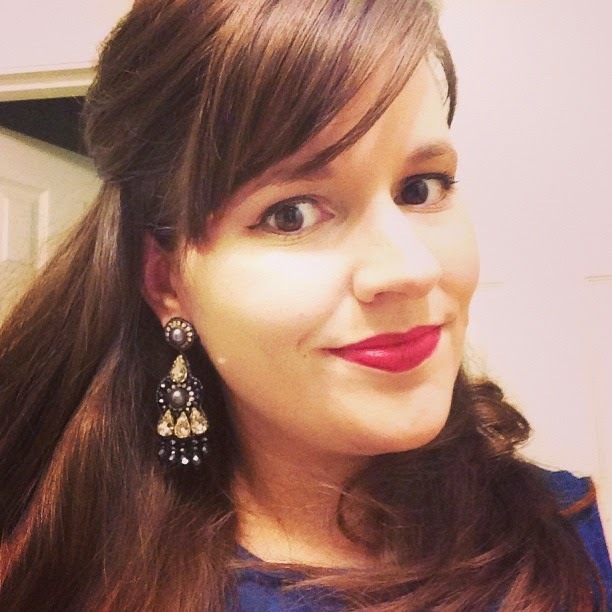 Beautiful earrings - great giveaway! so cute, I'm a follower! I'm a follower and I LOVE these! I love them! I follow your blog and like you on FB. Fun! 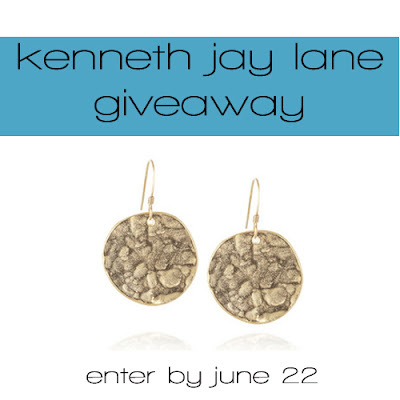 I love Kenneth Jay Lane jewelry and have none (yet)! I have been following you through google reader, but officially became a follower today! I'm also going over to my blog to make sure you are on the blog roll (which came from my google reader list) right now! So please enter me a few times! YAY! And I just updated my blog roll so you are officially on it! I am a follower! What a greattt giveaway, I love KJL! FB post is up too! Oh, i was suppossed to do a sep post for the blog roll - you're on it!! !